The DMM Torque Nut Set 1-4: a set of four hexes perfected over the years by DMM to make a much lighter, more sophisticated answer to the clunky, heavy beasts of old, for the modern climber's answer to light and durable big crack protection. DMM knows you need to trust your nuts, and they have designed the DMM Torque nuts to work with normal crack placements, but excel when placed in the camming position. A double sling also allows for quick extension once a nut is placed, allowing you to effortlessly make adjustments to suit the situation. Great tools, great value, great fun. The extendable sling is nice, the camming action works very well, these inspire confidence. They double as bear bells. Great product. 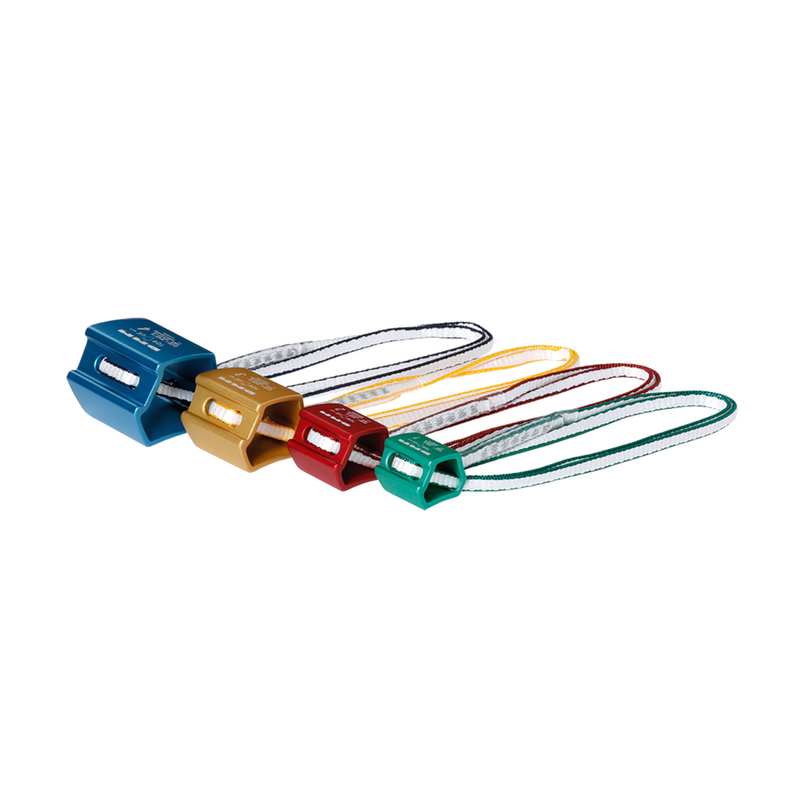 Sturdy and well engineered, the retractable sling is very handy and they're a great asset to a set.